I was interested to see what happened if I crossed the shapes of two of Portal's most popular characters/objects whilst trying to retain some of their individual styles, and this is what came out. 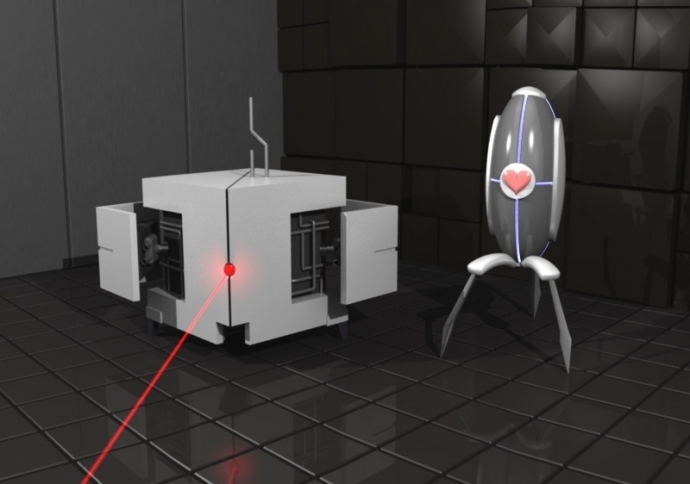 For reference, you here are some in-game shots of the Sentry Turret and the Weighted Companion Cube (beware of spoilers if you haven't played Portal!). Also available: a Second View, Third View, Fourth View.